Different from owning stocks, bonds, real estate or other passive investments, a franchise is an investment where you have a great influence on how that investment performs. It is an active investment and, with the exception of some multi-unit developments, franchisors generally will require you to commit your full time to manage and operate your franchise. They are looking to earn a better return on their investment than they could elsewhere. At a minimum, you should be looking to earn income based on your time commitment as well as a return on investment higher than you might elsewhere. It's good to keep in mind that in a well-performing franchise system, the exit value of a franchise may be higher than that found in an independent non-franchised business because the relationship with the franchisor’s marks increases the value of the business being sold. When you invest in any franchise, you will generally finance the majority of the total investment required from the bank or some other lending institution. Many franchisees obtain loans from their banks that are guaranteed by the Small Business Administration (SBA), which makes obtaining the loan easier. The SBA has developed a Franchise Registry to make securing your load a bit easier. In the past, every time you applied for a loan to acquire a franchise, a local examiner would need to read and evaluate the franchisor’s offering to ensure that it met the SBA’s independence requirements. Today, franchisors are supplying their offering documents to the SBA in advance and, once approved as a franchisee, you no longer have to go through the individual document review process. The Franchise Registry does not guarantee that you will get a loan since that is based on you and whether you meet the bank’s lending requirements; it merely makes the process of getting the SBA loan guarantee easier and faster. A list of franchisors that have been approved on the SBA Registry can be found at https://www.sba.gov/content/franchise-registry-approved-brands. It is important when looking at any loan and any franchise investment, that the cash flow of the business is able to support your debt service. For that reason, many franchisors place a limit on the amount of money a franchisee may borrow in making their franchise investment. You should work with your accountant or another financial advisor to prepare projections for your business in order to make certain that your business will have a likelihood of supporting your debt service. Assuming that it will, when calculating your return on investment, you should consider that your return should be based on the amount you have directly contributed and not on the entire investment in the business. The FPR is the only item in the FDD that is voluntary; not all franchisors provide one, but today most do. The FPR is not a guarantee of how well your business will do: there are too many variables to consider and besides, most of what will make your business a success or a failure will be dependent on how well you manage and operate your location. What the FPR will generally tell you is performance information on the existing franchised locations. Some are quite detailed; some only provide you with statistical information. When reviewing an FPR, it is important that you also read and understand the accompanying notes to gain a better understanding of what information the franchisor is using - and what information may not be included in the disclosure. 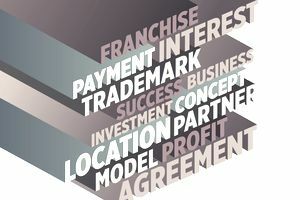 The FDD will also provide you with other useful information, including an approximation of your initial investment (Item 7), your initial and continuing fees to the franchisor (Items 5 and 6), and whether or not your franchisor is earning any revenue from merchandise or equipment you purchase for your business (Item 8). In addition to the FDD, you have at least two additional sources of information to use in assessing your potential return on investment. Item 20 contains a list of existing franchisees and those that have recently left the system. Franchisees can provide you with an abundance of information about their cost of getting into the business, their financial performance, break-even, etc. Another source is information about the company and its competitors that can be found on the Internet. Working with a knowledgeable accountant or another financial advisor, it is relatively simple to create a reasonable projection of how your franchise will perform and the return on investment you can expect to achieve. Nothing in business is ever guaranteed. Remember that your market may be different; the costs for real estate and labor may be higher or lower than others, depending on how the franchisor’s supply chain is set up; your cost of goods may be higher or lower; and if you are the first franchise in a market, you are generally going to spend more on marketing to develop new customers than if your brand was already well known. Never assume you are going to be a better operator than others in the franchise system, or that your market is superior or that your financial performance will be better. Also, understand that the averages the franchisor may be presenting in their FPR generally include mature franchises. Most franchisors do not even include locations that have been open for less than a year, and you will likely have a ramp-up period. Your results generally will not be the same as a mature location. There is a tendency, occasionally, to adjust the numbers to fit the expectations or even to obtain the bank loan. That tendency can be a grave mistake. Do your research, build your assumptions, and then write your plan. Don't justify increasing the top line or modifying the cost of goods or any of the labor or other costs just to increase your bottom-line projection. To be workable, projections need to be based on reliable information and sound business judgment. Selecting a good franchisor and developing a proper financial projection is a great combination to start your franchise. But keep in mind the real determinant of success: you, and how well you are able to manage and operate your franchise. How Are Franchise Agreement and Disclosure Documents Different? What Are Franchise Relationship Structures?